Rowena P. Lizin is a senior associate in the San Francisco office of Lewis Brisbois and a member of the General Liability Practice. In addition to general liability, she has significant experience in the areas of premises liability, product liability, toxic torts and employment law. Rowena maintains a diverse caseload, defending insured and private business entities in both litigation and pre-litigation matters. She represents clients in all aspects of litigation - including mediation, arbitration, trial, and through appeal - in both state and federal courts. Rowena’s practical experience enables her to excel at a wide range of disciplines, defending her clients from multi-million-dollar claims arising out of construction site incidents, catastrophic injuries, wrongful death, breach of contract, wrongful termination, discrimination, habitability and other landlord tenant issues. Rowena’s clients include construction entities, vehicle manufacturers, retailers, universities and colleges, commercial and residential property owners. 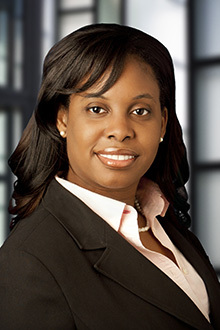 Rowena’s experience in handling catastrophic construction site injuries has led to an understanding of various issues involving the technical aspects of the operations involved, as well as government regulations, such as OSHA, and their role in civil litigation. Recently, Rowena has devoted a substantial portion of her practice to defending and advising technology companies in the ridesharing and crowdsourcing industries in cases involving automobile accidents and catastrophic injuries. While in law school, Rowena interned for the Katharine and George Alexander Community Law Center, focusing on labor and employment and workers’ rights obtaining at the time the center’s most significant settlement. She has also clerked with the Santa Clara City Attorneys Office. She is active in local bar associations and devotes a substantial amount of her time to volunteer activities aimed at promoting successful development of young girls.